The waste industry requires heavy duty scale equipment that is manufactured to survive long periods of service and harsh environments. From truck scales and onboard weighing systems to indicators and controllers, our suppliers have developed several heavy-duty weighing products ideal for the waste industry. For example, Rice Lake onboard weighing systems bring the scale to the product with a variety of solutions for straight-truck, semi-trailer, tipping and roll-off refuse trucks. Truck operators can record load data to accurately track loads as small as individual pick-ups all the way to total gross and net vehicle weights. With cab-mounted displays, operators are always informed of their vehicle weight, optimizing refuse records and on-road safety. 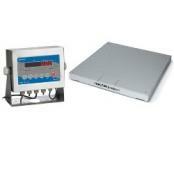 Weight data plays a crucial role in all waste management or recycling industries. From tracking the amount of garbage collected to monitoring inputs and outputs during materials recovery through to extracting energy and disposing of waste, weight information is key to legislative compliance and operational efficiency. 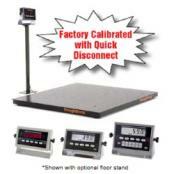 Weighing scales and systems from Central Carolina Scale collect this vital information every step of the way without slowing down your operation. Our scales document your compliance with health, safety and environmental regulations, allowing you to get on with business. Contact us for a quote today. Waste collection -- Weighing scales and systems from Avery Weigh-Tronix can help waste collection companies balance safe, efficient garbage pickup with health, safety and environmental regulations. Waste recovery and processing weighing scales and systems help material recovery operations record incoming materials and outgoing commodities accurately and efficiently. Waste disposal -- Weighing scales and systems help waste management companies meet stringent reporting requirements while also maintaining efficiency and profitability. Energy from waste -- Weighing scales and systems help energy from waste producers to account for incoming feedstock and outgoing ash or biomass to ensure operational efficiency and profitability. 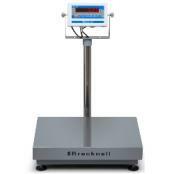 Brecknell 3800LP Calibrated with SBI-505 Brecknell 3800LP Series is calibrated with SBI-505 LED Indicator and features Low Cost, High Performance features like Weighing, Counting or Checkweighing. The large, Easy to Read LED Display and Battery or AC/DC Operation are ideal. Painted mild steel indicator and cast base with stainless steel shroud. NTEP legal for trade. 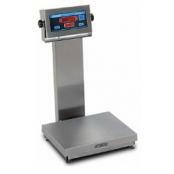 Doran APS8000XL Bench Scale with ColumnDoran APS8000XL includes a 20" tall column & four different base sizes: 15" x 15", 18" x 18", 18" x 24", or 24" x 24". The internal rechargeable battery and charger provides a simple-to-maintain scale that can fully charge the battery in five hours, even while the scale is being used. 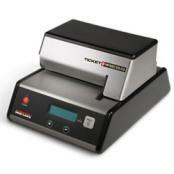 Rice Lake Ticketpress Scale Ticket PrinterRice Lake TicketPress ticket printer automatically adjusts to media thickness and prints multiple easy-to-read copies. The rugged steel enclosure protects internal mechanisms in tough industrial applications from truck scale reporting to inventory control. When you're dealing with the scrap and recycling industries; strength, durability and accurate performance are very important qualities to ensure long-lasting weighing equipment in ultra demanding environments. Our selection of Rice Lake industrial scales offers a broad selection of heavy duty products ideal for material handling and scrap/recycling processing applications. From rugged rail scales and industrial tough truck scales, to intuitive indicators and controllers, our selection of Rice Lake products provide solutions to lower inefficiencies in scrap and recycling operations, and ultimately improve your profit. 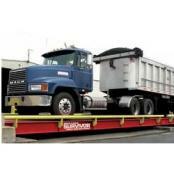 Rice Lake onboard weighing systems for roll-off trucks and garbage packers streamline the scrap hauling process by bringing the scale to the product. With a variety of solutions for straight-truck, semi-trailer, tipping and roll-off trucks, Rice Lake onboard systems offer versatility for many forms of scrap-hauling. For scrap hauling and transfer stations, Rice Lake SURVIVOR® truck scales provide extreme durability and unbeatable accuracy. Rice Lake has developed several models of Legal for Trade truck scales ideally suited for the scrap and recycling industries—there is a SURVIVOR truck scale to fit the operation, or Rice Lake will custom-build it. 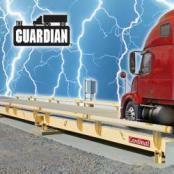 The OTR steel or concrete deck models can be installed above ground or as a pit-type, and with Rice Lake’s patented G-Force™ suspension system, SURVIVOR scales self-check, eliminating the need for check rods and bumper bolts. Paired with SURVIVOR truck scales, Rice Lake’s automated ticketing systems (ATS) and kiosks improve more than just speed and vehicle throughput—an ATS keeps drivers in their cabs, enhancing safety for all. Optional ATS and truck scale accessories for scrap and recycling stations include printers, traffic lights, barrier gates and messaging and remote displays. Rice Lake indicators/controllers are smart, fast and are built with the user’s process in mind. When a scrap or recycling enterprise’s business depends on measuring incoming and outgoing material, an accurate weight reading is paramount. Rice Lake offers indicators and controllers that provide not only remarkably accurate weight readouts, but also intuitive programming and the ability to record data, automate applications, print customer tickets and even more capabilities the scrap and recycling industries demand. Rice Lake’s affordable and versatile railroad scale, is the ideal solution for scrap and recycling yards that can’t afford the space, time and cost of a conventional rail scale, but need to accurately measure the total gross weight of rail cars. 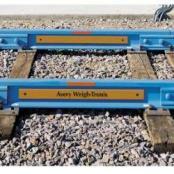 Less than one-third the cost of traditional rail scales and with an eight hour installation time, RailBoss fits in the scrap yard and the budget. In scrap and recycling facilities, weight is a critical component. From massive onsite scrap metal transfer stations with truck and rail scales, to the ticket that prints the load readout, accurate and durable scales are one of the most important factors in scrap and recycling equipment.